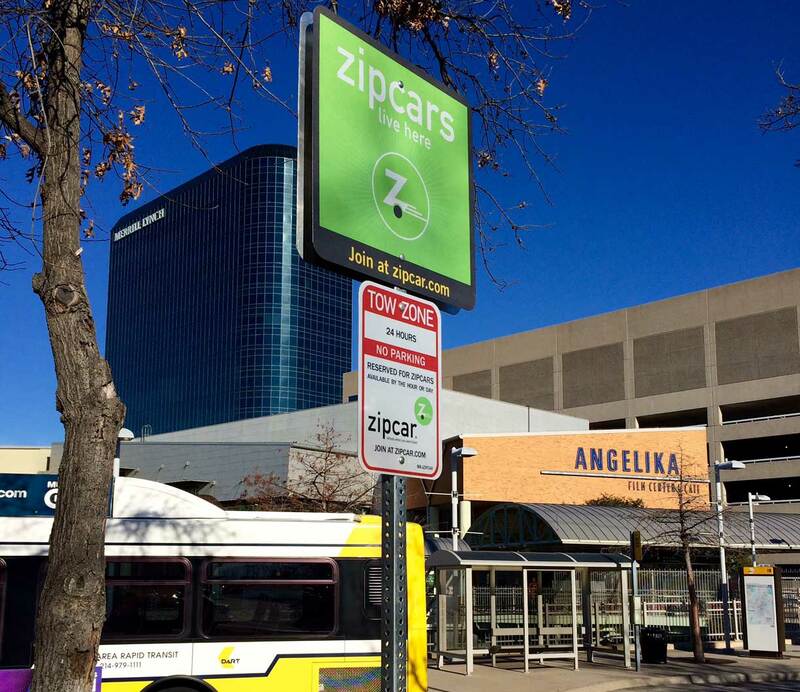 DART and car-sharing service Zipcar are creating a new connection to make public transit a more practical option for Dallas-area commuters. Zipcar is now parking two vehicles at Mockingbird Station. The cars are located at two marked spots in the “kiss and ride” area of the parking lot, near the station entry. Zipcar’s newest location will help residents, students, businesses and visitors greater access to combine DART and Zipcar trips to explore the greater Dallas area through affordable, convenient and efficient transportation. There are more than 40 Zipcars available at more than a dozen locations in the Dallas area. Solving the problem of the “last mile” of a trip – helping travelers reach their destination when it’s not adjacent to a transit stop – is a challenge being addressed by transit agencies across the country. Some are developing partnerships with companies like Zipcar and others are incorporating bike sharing. It’s all part of efforts to find new ways to make transit more valuable to current customers and more relevant to prospective customers. According to Zipcar, some of the other US transit agencies incorporating their car-sharing service include San Francisco’s Bay Area Rapid Transit District, Chicago Transit Authority, King County Metro Transit in Seattle, Massachusetts Bay Transit Authority, New Jersey Transit, New York’s Metropolitan Transit Authority, Washington Area Metro Transit Authority, and Metropolitan Atlanta Rapid Transit Authority. Finally! I tried starting my own neighborhood car share in Oak Cliff. Is this a pilot program or full roll out? We’d appreciate it in Oak Cliff. thx! Bikes or zip cars at Walnut Hill Station would be great too. I’d use either every month. DART and Zipcar…two entities that make our one-car household work so well. Please…put two or three of these at each station with a parking lot (or, even at ones without them) and a handful of bikeshare bicycles at each station without a parking lot. This is, precisely, the type of thing DART needs to be concentrating on (instead of, say, tollroads).